If you didn't know that cats ruled the house, the following evidence will put any doubts to rest. What felines lack in size, they make up for in attitude! 1. This dog IMMEDIATELY regretted his decision. 2. 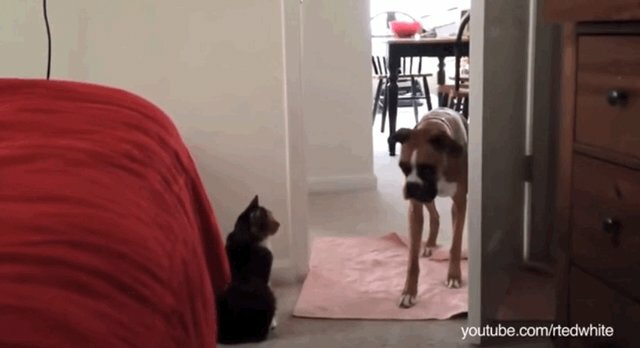 This canine knew she was gonna get swatted on the bum, and was totally right. 3. 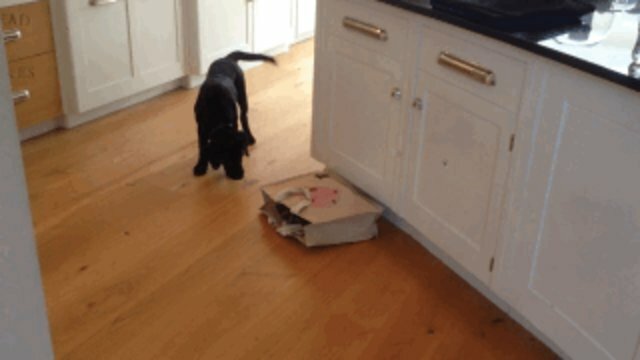 This pup underestimated the contents of the grocery bag. 4. This cat knows that his power-stare is his most effective weapon. 5. 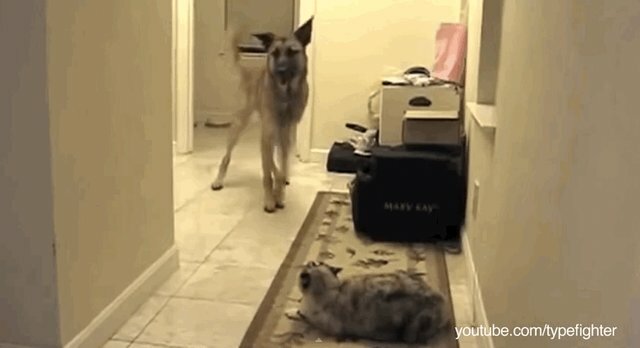 This cat doesn't allow any loitering in the hallway. MOVE ALONG. 6. 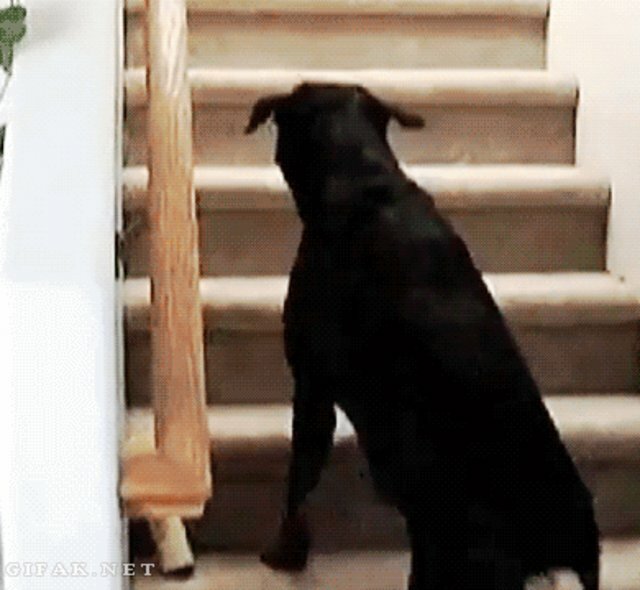 This dog just decided that the upstairs is like, SO overrated. 7. 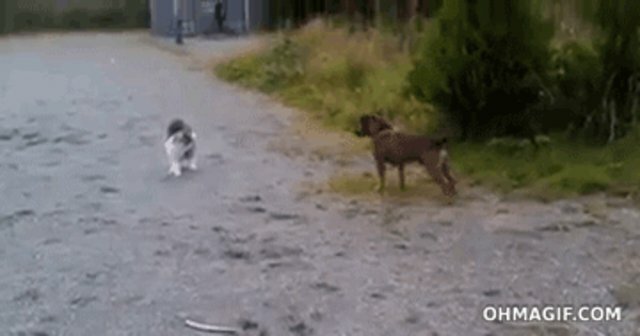 This dog came to a similar conclusion pretty quickly. 8. 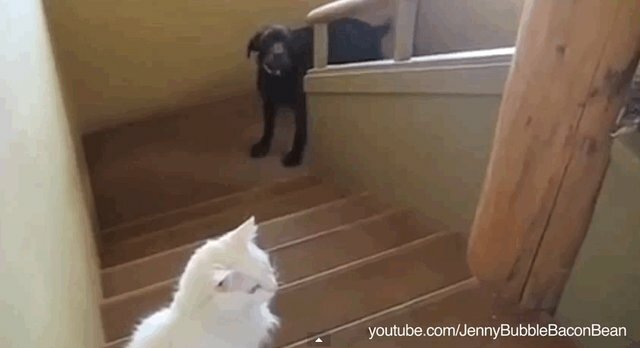 This pup is taking the path of least resistance with the fearsome feline. 9. 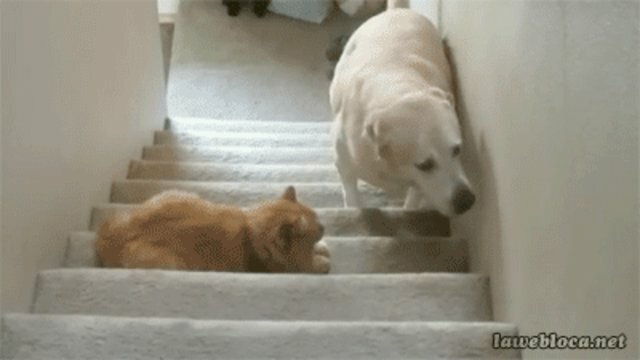 The cat insists that he didn't do ANYTHING. Honest!